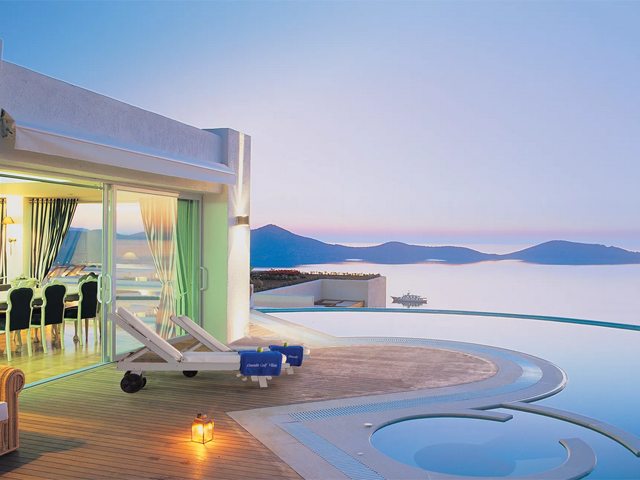 Enjoy the ultimate indulgence and elegance in the family-run boutique Elounda Gulf Villas & Suites. Our complex offers pool Villas and Suites in Elounda, all with breathtaking views over the azure waters of the Gulf of Mirabello. 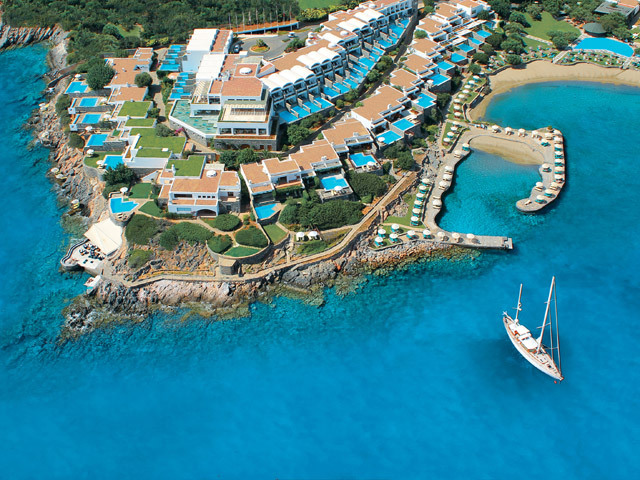 A holiday here showcases the best of Crete, its landscape, natural beauty, service and atmosphere. Our Villas & Suites are an ideal destination for anyone with high expectations of a special holiday thanks to a rare combination; the facilities and services of a deluxe hotel and the warm, but exclusive ambiance of a private home. 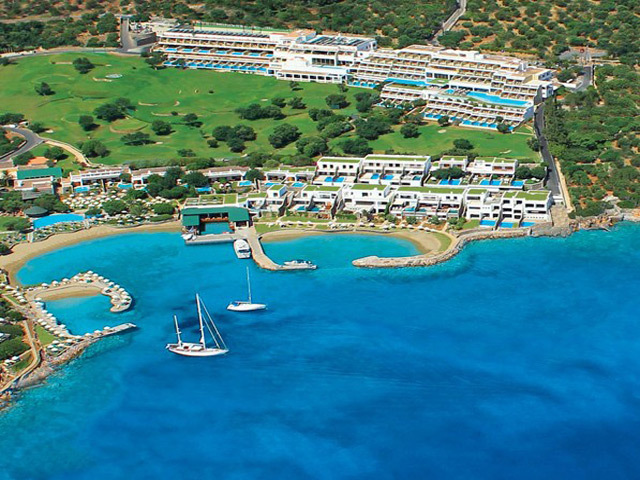 You can expect a dream holiday come to life at Elounda Gulf Villas & Suites where your pleasure is our only concern. 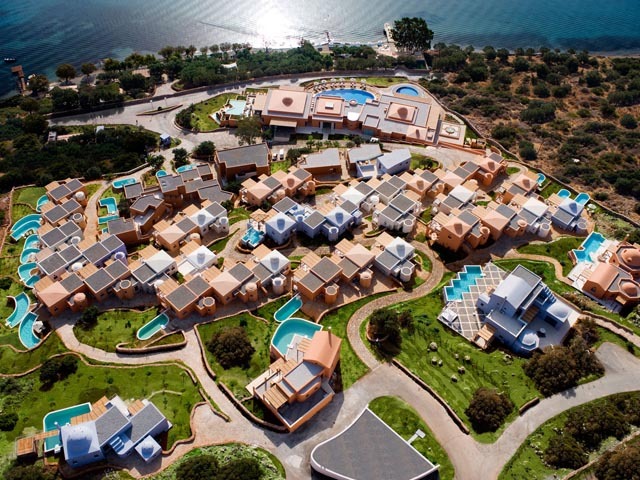 Elounda Gulf Villas & Suites is idyllically situated on the stunningly beautiful northeastern coast of Crete Island in Greece. Our boutique Villa-Hotel complex is panoramically built on the hillside, overlooking the magnificent Gulf of Mirabello, and just 2.5kms from the quaint fishing village of Elounda. The cosmopolitan town of Agios Nikolaos is just five kilometers away, while Heraklion International Airport and Heraklion Port are about 70 kilometers away. Elounda Gulf Villas & Suites are uniquely designed to the highest standards with privacy and relaxation in mind. Each of our Pool Villas extensive facilities has a private pool, individual Jacuzzi and incredible sea views of the Mirabello Gulf. Our Elounda Seafront villa promises an amazing seaside accommodation experience in Elounda. For extra pampering and relaxation, the Spa Pool Villas have in-built spa facilities, including private gym room, sauna and steam bath. For smaller groups or couples who still want complete luxury, the Suites are the ideal choice. Come to your own private retreat and soak up the most sublime Mediterranean views on offer. 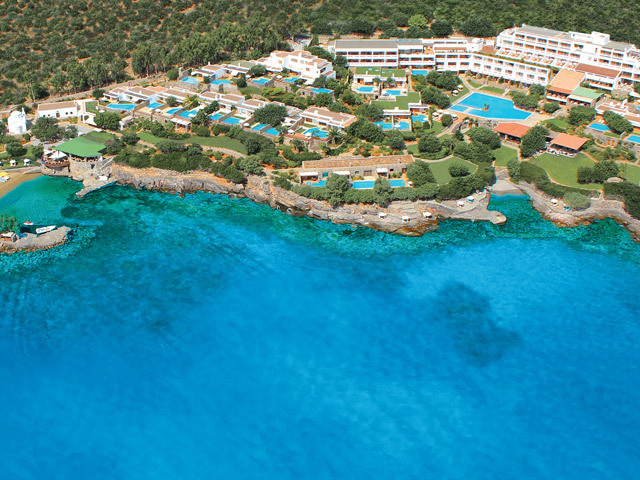 All of our elite guests from April 2014 will have the opportunity to relax, swim and sunbathe at our PRIVATE BEACH CLUB! Equipped with sun beds, luxurious sunshades and plush beach towels, at the EGV PRIVATE BEACH CLUB there is all guests need for a relaxing day! Attentive service offers refreshing cocktails, drinks and fresh fruits throughout the day. Located less than 5min drive from the Elounda Gulf Villas & Suites, the hotel offers to all guests daily shuttle services to the private beach. Water sports and other beach services are offered upon request. Private events, parties, weddings and exclusive celebrations can be arranged at the private beach upon request. Entry to the private beach is allowed only to the hotel’s guests, and therefore privacy and ultimate serenity are guaranteed. The principal restaurant of the hotel, The Argo Restaurant offers buffet breakfast, a la carte lunch and a la carte dinner to all guests, with a choice to eat inside or out. Our menu is International, Mediterranean and Greek. Snacks and lunch can be enjoyed in the restaurant or by the main pool. Argo Breakfast: 8:00-10:30 All day Snacks: 11:00-19:00, Argo Dinner: 19:00-22:00. Dress code: smart casual, both open air section and inside section, close to the main pool. Hotel’s relaxing lounge bar. Unwind with exquisite cocktails and refreshments. Daphni is a gourmet and award winning sea view restaurant offering creations of exquisite gourmet Greek cuisine. The restaurant also serves a selection of Mediterranean dishes as well as international flavors to please the most demanding of palates. Dress code: Smart casual, long pants for gentlemen are requested. All day snacks and refreshments are offered in the Private Beach Club for guests enjoyment. Special theme nights with Greek delicacies and Greek dances. The hotel also organizes elegant gala dinners as well as more casual BBQ nights. An extensive Room Service menu is available for all guests. For special occasions or anniversaries. Our expert culinary team will delight your taste buds with a private meal served on your terrace. Speak with one of our staff to arrange this very special event.